Every racing game fan has played or at least heard about Forza Horizon game. A staple of the genre, developer Playground Games has set the standard for racing games. 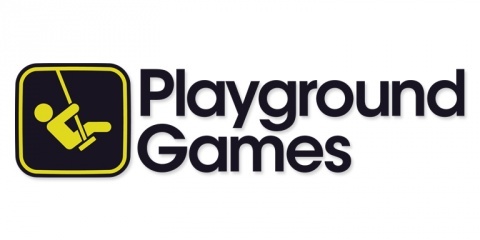 Now, Playground Games is ready to try their hand at something new and it could be big, literally. 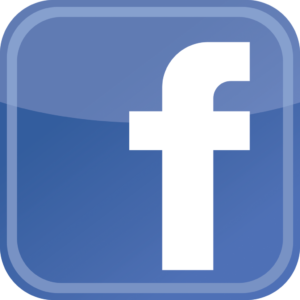 Headquartered in Leamington Spa, UK they are currently seeking a new location that will be the base of operations for their second studio. “Ideally within walking distance” according to Playground Games. The makers of Forza will be directly overseeing the development of their new project but it will create two distinct teams. A promising sign is that Playground Games is absolutely aware that they have limited means to get this new open-world game off the ground. Currently staffed with 115 people, they have plans to grow to around 200. The independent studio opened in 2010 and has only focused on Forza Horizon titles. Understanding that it will be absolutely vital to expand and take on new creative talent shows that they’re on the right tract to meet impressive challenge. We here at Gigamax Gamers will be keeping a close eye on the developments surrounding Playground Game's new project. 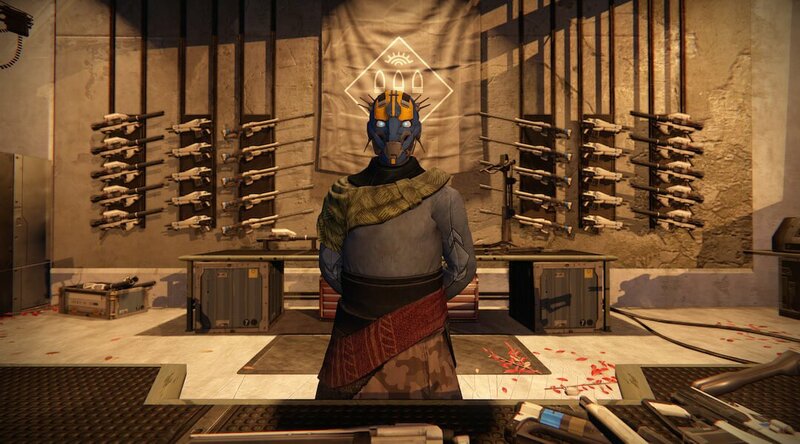 No details have emerged about the theme or scope, open-world is the only information available to the public so far. Stick around, we’re excited. At this week's RTX, legendary game designer Hideo Kojima spoke about his upcoming game Death Stranding. Kojima spoke about the big decision to partner with Sony making this highly anticipated title a PS4 exclusive. He noted that there were many interested parties outside of the gaming industry that offered a lot of money, specifically pointing out a potential buyer from the United Arab Emirates. Sony was ultimately chosen because they allowed Kojima to express creative freedom without having to worry about censorship. He specifically noted that some companies may not be ok with the game's depiction of Norman Reedus without any clothes. It was also reported that he chose Sony because of his familiarity with the company. During the interview it was asked if Death Stranding will incorporate any kind of virtual reality. Kojima unfortunately said that the game is not made for VR. Although with Sony trying to push sales on its PSVR hardware, it wouldn't be surprising to see its functionality added later. He also said that there was no sequel planned for Death Stranding but if fans want it bad enough, one will be put into consideration. Kojima also provided an update on how the game is coming along and what gamers can expect to see. He said that players are going to get an open world game that offers a large degree of freedom. The game will feel very different than current triple AAA games as well. Pointing out that current video games revolve around fighting back enemies with various weapons, Death stranding will instead focus on connections and bringing people together. The game is still in the very early ages of development, with the team currently working on game logic and testing. This year they will be working on filling up the open world and making additions to the foundation. As of now there is no release date, but 2018 is the rumored time slot. It has also been confirmed that the game is coming out on this generation of hardware. Excited to see what Kojima has put together, the industry waits with bated breath. Be sure to check back at Gigamax Games soon for the latest updates surrounding Death Stranding. The Flame in the Flood delivers a relaxed survival experience. Relaxed and survival aren’t two words normally used to describe a game where a character is fending for their lives. However, this game does it. To be honest, it was relaxed for a bit until the wildlife decided to turn against us. Come join us as we brave the rapids and fend off the wild beasts that stand in our way. The playlist below includes our adventure with The Flame in the Flood. Our first attempt was a doozy to say the least. 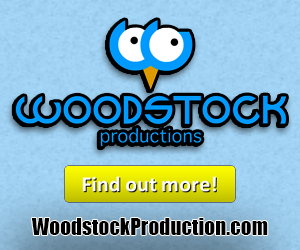 Don’t forget to Subscribe to keep up with our latest videos! Let’s Plays every Thursday and Thursday. Catch the PowerHour every Tuesday and Thursday at 11:00pm – 12:00pm! 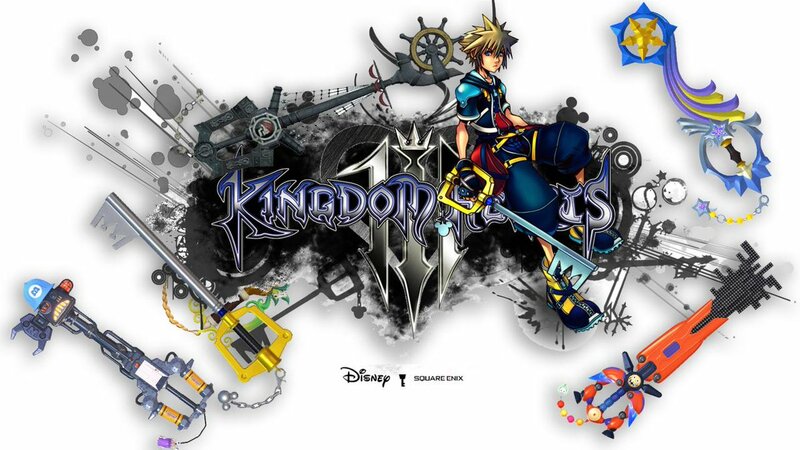 Kingdom Hearts 0.2 Birth By Sleep has the world excited for Kingdom hearts 3. An incredible new game engine was used for a section of the game and the graphics were unbelievable. It played well, but Gigs and Mack encounter some classic Kingdom Hearts targeting issues. The playlist below offers an extraordinary look into Birth By Sleep using Unreal 4. Check back soon for the latest additions to the Kingdom Hearts playlist. Gigamax will be playing through the game in its entirety. Then, going back to the PlayStation 3, Kingdom Hearts 1.5 and 2.5 are up next! 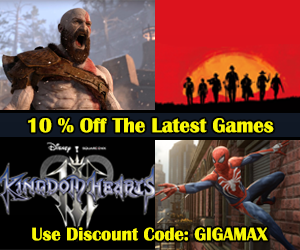 To keep up with the latest streams and videos from Gigamax Games, don’t forget to Subscribe! Let’s Plays release every Tuesday and Thursday. Catch the PowerHour streams every Tuesday and Thursday-night from 11:00pm – 12:00am. Articles come out on Monday, Wednesday and Friday! 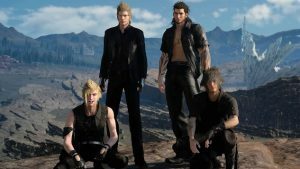 Final Fantasy XV Update: The creators finally address the highly criticized 13th Chapter. However, this isn't the only update the game will receiving. 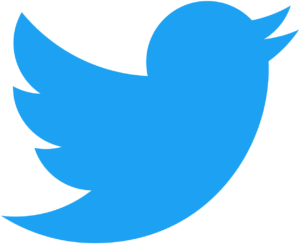 A slew of updates will begin releasing starting on Feb. 21. The director, Hajime Tabata offered up this information during their live-stream dedicated to Final Fantasy XV. The first update will be primarily for the PlayStation 4 Pro. Available on Feb21st, this update comes along with the "booster pack" DLC. After this update, Final Fantasy XV will run at 60fps. Along with this performance update, players will now be able to listen to music while riding the chocobo. We here at gigamax don't agree with installing radio's on animals... But I digress. Additionally, the level cap will be raised to 120. Next up will be the highly anticipated Chapter 13 update which releases on March 28th. This update also comes along side the "Episode Gladiolus" DLC. The Chapter 13 update will include various improvements to the notoriously slow last chapter. Facing an outcry from fans, Tobata ensured they will fix some of the issues they've heard about. However, few details were offered about what content will be included in the updated final hours. One exciting detail that was offered was that Gladiolus will be a playable character during this section of the game. The update is perfectly timed as the 'Episode Gladiolus' DLC allows players to use the character throughout its duration. This outlines all the content detailed in the Final Fantasy Live Stream. However, the new content still doesn't end there. Tobata revealed an 'Episode Prompto" DLC will release in June. One of our favorite characters, this should be an exciting and humorous addition to Final Fantasy XV. 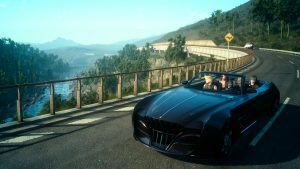 Expected in the future, an update will allow Noctis to take the Regalia off-road. No other details are available and no release date was set. This is a feature that will truly offer an exciting experience for our second play through. It’s been 12 years since the last core Kingdom Hearts game. Finally, Kingdom Hearts 2.8 Final Chapter Prologue feels like the last stepping stone before the third entry. 2.8 is another uprezzed collection much like Kingdom Hearts 1.5 and 2.5 but misses out on not including a game from the main series. This time around players are given Dream Drop Distance (the 3DS game), Birth By Sleep: A Fragmentary Passage (a short section from the PSP game), and a collection of cutscenes from the mobile title Unchained x. While there is plenty of content, it is nowhere near as substantial as the prior remasters but manages to remain fun with what is delivered. Developer Square Enix put a lot of work into making the old 3DS title, Dream Drop Distance work on the PS4. Playing the game feels way more comfortable on a Dualshock controller then it did on the clunky 3DS gamepad. The combat flow feels smoother and getting invested in the worlds is easier when you can see everything that’s going on. That being said, this is still an apparent 3DS port. Touch and motion controls were a big part of the title and they don’t always translate well to the PlayStation. The game also plays differently than a core Kingdom Hearts so newcomers beware,this is not a traditional Kingdom Hearts experience. 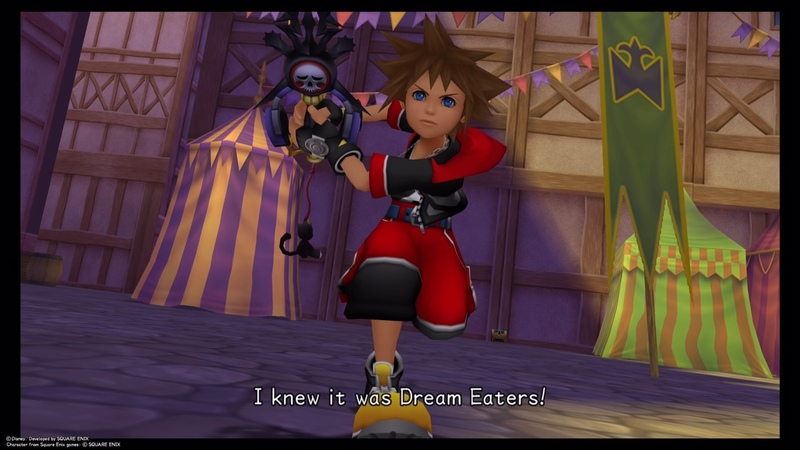 Dream Drop Distance relies on a gimmick that has the player switch between controlling Sora and Riku. 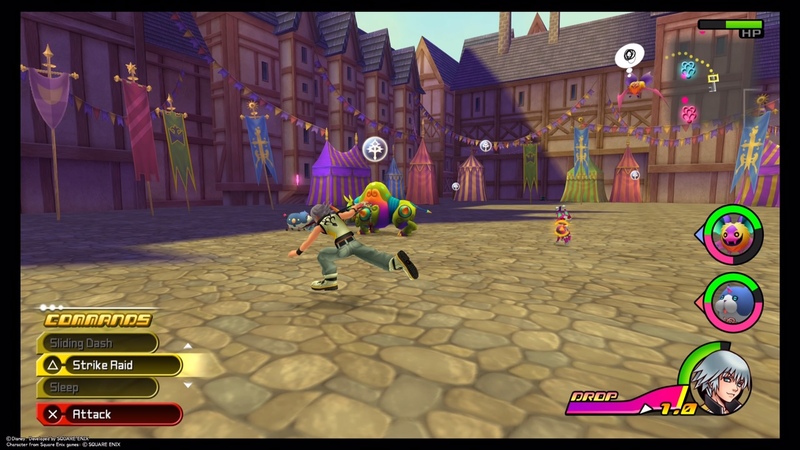 A drop meter is added underneath the health bar and when the automated timer runs out the player is forced to switch to whichever character they were not using. Seeing the two heroes stories develop simultaneously is entertaining, but the invasive drop system ruins the experience. Once the drop timer runs out, no matter where you are or what enemy is being fought the game force switches your character. I had too many instances of long boss encounters having to be restarted because of this new system. Also gone is the traditional buddy system. Sora no longer fights alongside famous Disney characters. New to the series is the spirit partner system that has players create pets based on the enemies you fight. Using these new partners, our heroes are able to utilize spirit link attacks that let Riku fuse and Sora combo attack with their respective monsters. These new abilities are fun to use but only add to the chaos of the combat system which sometimes feels a little too hectic. The next entry available to players is “Kingdom Hearts 0.2 Birth By Sleep: A Fragmentary Passage.” This snippet of the PSP game Birth By Sleep has been completely remastered in the Unreal 4 engine. The new style is a first glimpse into what Kingdom Hearts 3 is going to look and play like. The combat is fast and fluid and the story gives a good impression of what’s going on in the events right before the third core game. Aqua is an awesome hero and the new option to customize your character’s appearance is an entertaining distraction. The only downside to this experience is that it is not terribly long. I managed to complete 0.2 in 2 hours 45 minutes on normal difficulty, albeit without finding a ton of the secrets that the game has hidden. This small section of gameplay leaves you wanting so much more, but unfortunately that is still a ways off. 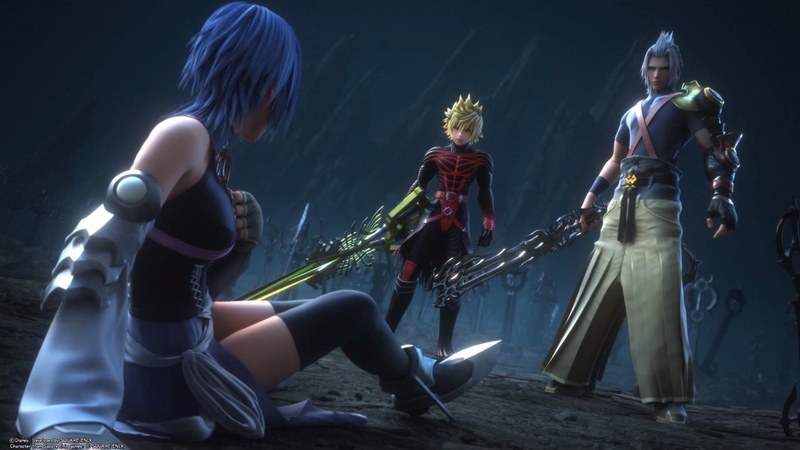 Overall Kingdom Hearts 2.8 is a welcomed addition to the series, but at the end of the experience it only leaves a desire to play the main games. This title is a treat for fans who need something to tide them over while waiting for Kingdom Hearts 3. Newcomers to the series will be left confused and should wait for the re releases of 1.5 and 2.5 on the current gen consoles before sinking money into 2.8. If you’d like a look into what the game looks and plays like, we have a Let’s Play at the bottom of the article that will give more insight into the game.